Making Mexican dishes that are low-carb and delicious isn’t an easy task. 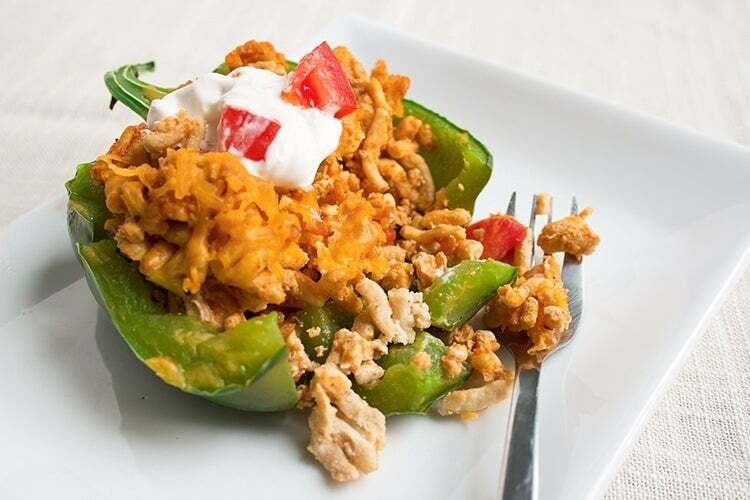 Let our Skinny Taco Stuffed Peppers mix up a meal that could be mundane! These aren’t your grandma’s stuffed peppers packed with beef, rice, and ketchup! 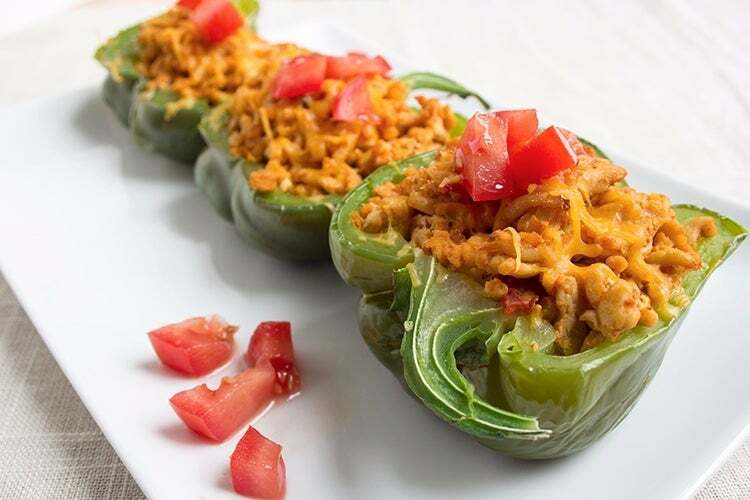 Instead, fill these up with delish ground turkey, salsa and cheddar cheese and you’ll have a bold burst of flavor in every single bite! If you’re a stuffed pepper fanatic, you have to also try our Skinny Philly Cheesesteak Stuffed Peppers. Trust us, these don’t disappoint either! Brown ground turkey in a large skillet on medium heat. Add 1 tablespoon of water and the seasoning to the turkey and stir. Add salsa. If meat seems too dry, add a little more. Turn heat to low when turkey is heated thoroughly. Cut green peppers in half, top to bottom. Cut a semi-circle around the stem and remove the stem and seeds in one cut. Or leave the stems on like in the photo, up to you! Repeat until you have four halves. Place peppers in a baking dish open side up and fill with your meat mixture. Place on plates and sprinkle with the toppings of your choice.